Mack W. Borgen is a graduate of Harvard Law School and a national award-winning author. He is a native of Montana and was raised in the Pacific Northwest and the Midwest. He graduated from the University of California at Berkeley with Honors in Economics where he delivered one of the last University-wide Commencement Addresses. Then, after graduation from law school, he served more than four years in the US Army. After living in Europe for a short period, he returned to the West Coast where for years he has practiced business law and continued to write about various economic, political and social matters. In 2008, he partly withdrew from both business and his law practice in order to finally devote himself to the writing of this series of books about the current American condition and about how we, as a country, can do better. He has also continued to write many articles on a wide range of subjects. Many of them are presented on this website on the Blog pages. His first set of two books (The Relevance of Reason) were published in 2013, and his next books, the three volumes in The Dead Serious and Lighthearted series, are being published this year. 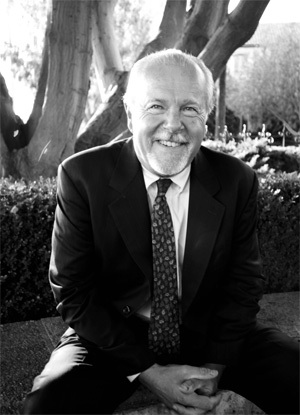 The author lives with his wife and son in Santa Barbara, California. The author’s first two books, The Relevance of Reason – The Hard Facts and Real Data about the State of Current America (Volume I – Business and Politics) (408 pp) and Volume II (Society and Culture) (438 pp) won four national awards including First Runner-Up – Best Business Book of the Year at the 2014 Los Angeles Book Festival (Vol I – Business and Politics); Finalist for Best Book of the Year in the Political Science category (Vol I – Business and Politics); the Bronze Award (3rd Place) for Best Book of the Year in the Popular Culture category (Vol II – Society and Culture) at ForeWord Review’s National Book Contest; and Finalist of the Eric Hoffer National Book Contest (Vol II – Society and Culture). The first volume of Dead Serious and Lighthearted – The Memorable Words of Modern America (1957-1976) was released on March 27, 2018. In May, 2018 it received an award from the San Francisco Book Festival for the Best General Nonfiction Book of the Year (2nd Place), and in the same month received a powerfully favorably review from the US Review of Books. Volume II (Years 1977-1993) of Dead Serious and Lighthearted – The Memorable Words of Modern America was released in August, 2018, and Volume III (Years 1994-2015) will be released in January, 2019. In addition, over the last years the author has written 80 Blog articles, announcements, and updates on many various subjects.